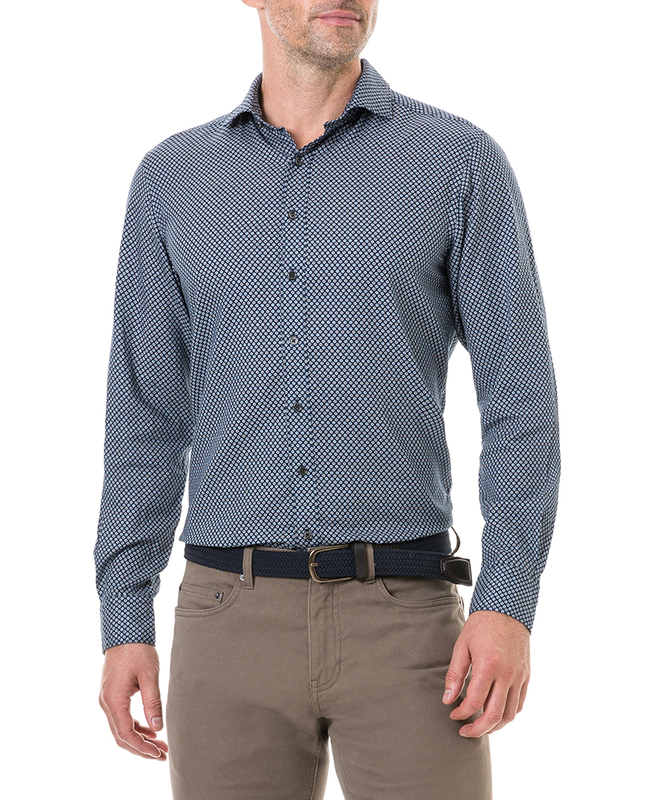 A long sleeve shirt patterned with a geo print. Crafted from a soft Italian cotton flannel emphasised with a smooth twill weave. Cut in our sports fit and featuring a spread collar, single cuffs and metal buttons. These straight fit jeans are crafted in a premium Italian twill with a smooth hand. The fabric also features a small amount of stretch ensuring this pair remains comfortable all day. Finished with brass hardware and tan leather patch. In conjunction with the Large Weekender Bag, our Normanby Bag is the perfect accompaniment for a weekend away. A smaller and more compact design while sharing the same features as the Large Weekender.